Data analytics is the process of exploring datasets so as to make inference about them and any other information that they may contain. They are mainly two types of data analytics (DA), exploratory data analysis (EDA) and confirmatory data analysis (CDA).The main difference is that EDA aims at exploring data patters and relationships in a given dataset while CDA makes use of statistical techniques to test a given hypothesis. From this information, one can gather that EDA mainly deals with descriptive statistics and graphical representation of data while CDA deals with hypothesis testing. Examples of graphical representation of data include bar and line graphs, histograms, pivot tables, pie charts and scatterplots amongst others. An expert in data analytics, data analysis and interpretation is referred to as a data analyst. Business analytics (BA) is the process of exploring methodical data of a business with the emphasis on statistical analysis. The main aim of business data analytics is to draw statistically driven decisions. However, for effective business analytics there must be quality data, skilled analyst and the motive to draw and use statistical decisions. It is important to note that there are mainly 3 types of BA: Descriptive analytics which is used to understand the present state of a business, predictive analytics which analysis the business trend and prescriptive analytics which uses past performance to come up with future recommendations. 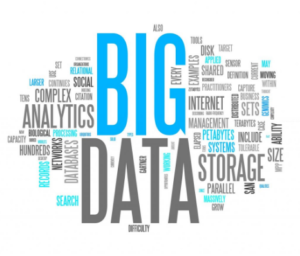 As the name suggests, big data is a term that describes a large amount of structured, semi-structured and unstructured data that can be analyzed using majority of the analytics applications. Often, the big data is described using the 3Vs, i.e. Volume, Velocity and variety. The volume is usually extremely large. The velocity refers to speed at which the data must be processed while the variety stands for the different types of data processed.